I have heard it said that the independence of Catalonia would devastate the Spanish economy, and that this might be a reason for the European Union to be less than interested in the progress and success of the sovereignty process begun in our country of late. But in light of this statement, it would be wise to take a look at the recently published paper titled "Where Spain is headed", from the Cercle Català de Negocis (CCN), a business association in favor of the Catalan State. The paper, among other things, talks about the benefits that the independence of Catalonia might bring to Spain. I found the reasons interesting, and thought I would comment on them here. The first point is that independence could be just the catalyst for changing the economic and political model that the Spanish State needs. The idea is that, in order to get beyond the financial crisis, Spain needs to change its productive model, shrink its administrative structure, and replace its political and business elites. That's all true. It has cost Spain dearly having an economic model based on construction and tourism, which both have a low added value, instead of promoting industry, research, and innovation. The Spanish government has failed to implement an economic policy in order to increase productivity or competitiveness both in the Zapatero era and now in Rajoy's administration. It has performed badly, on the fly, late, and with contradictions. You only have to look at the results of the economic policy that has been implemented, which generates a vicious circle of low growth and high unemployment and debt. And it doesn't look like the latest reforms make any attempt to change the economic model either. Therefore, Catalonia's independence may be the detonator that pushes Spain to change its productive model. A second point is that a Catalan State would allow Spain to fully develop its own economic strategies. 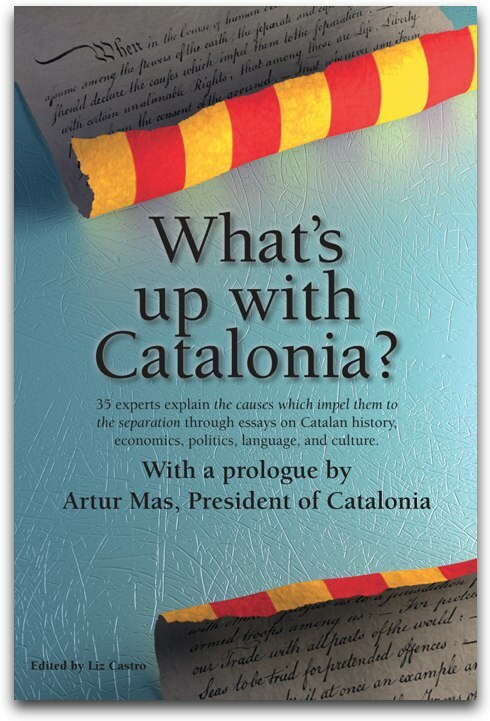 Catalonia and Spain have distinct business and economic strategies. The Catalan strategy is based on small and medium-sized, innovative, flexible, niche and export market-oriented businesses with a strong technology and industrial component. In contrast, the Spanish strategy is based on large businesses which operate in regulated sectors (banking, electricity, hydrocarbons, telecommunications, etc.) with a very important international presence, especially in Latin America. In order to be successful, these two strategies require distinct (mercantile, labor, and financial) legislation and policies (especially with regard to infrastructures). So, the independence of Catalonia will allow the Spanish government to establish policies that are adequate for its own business model and to concentrate all its resources on Spanish companies, which will reinforce its competitiveness and job creation. A third point is that the competition between the Catalan and Spanish economies on equal terms, each with their own state structures, would help Spain to progress. Well supported competition from an economic point of view always generates more efficiency and might push Spain to construct basic infrastructures according to their profitability and to abandon pharaonic white elephants. At the same time, the competition might encourage Spain to develop the tools it needs to compete with Catalonia to attract foreign investment. All of which would end up improving the competitiveness of Spanish businesses, which would increase the country's wealth. In that same way, a Catalan State would have to dedicate resources to investments in infrastructures in order to strengthen the Catalan economy. This fact, which not only would facilitate the import of Spanish products and the export of products to Spain, would also reinforce the competitiveness of Spanish businesses, since it would make it easier for them to send their products to Europe. A fourth and final argument would be that the economic strength of a Catalan State would be beneficial to the Spanish economy. A Catalonia with a strong economy would increase its imports of Spanish products and Catalan businesses would be able to make investments in Spain that would have a positive effect on its economy, at the same time that Catalonia could offer direct economic support to Spain. In conclusion, all signs point to the recovery of Spain not having a V shaped curve (of improvement) but rather one shaped like an L (no recovery). Faced with this situation, in the medium and long germ, the independence of Catalonia could benefit the economy of the Spanish state and increase the well being of its citizens. Núria Bosch holds a Bachelor Degree and a PhD. in Economics from the University of Barcelona. Bosch is Professor of Public Economics at the same university, director of the UB’s Chair in Fiscal Federalism at the Barcelona Institute of Economics (IEB) and one of the directors of the Fiscal Federalism Research Program at the same institute. The Barcelona Economics Institute is UB’s research center that carries out work in Applied Economics. She specializes in fiscal federalism, local and regional public finance, fiscal flows and public sector efficiency analysis. Her work has been published in specialized national and international journals and books, and she is a contributor to What's up with Catalonia?